Berrywood Hospital is a purpose-built facility that helps individuals re-build their lives in a safe and caring environment. 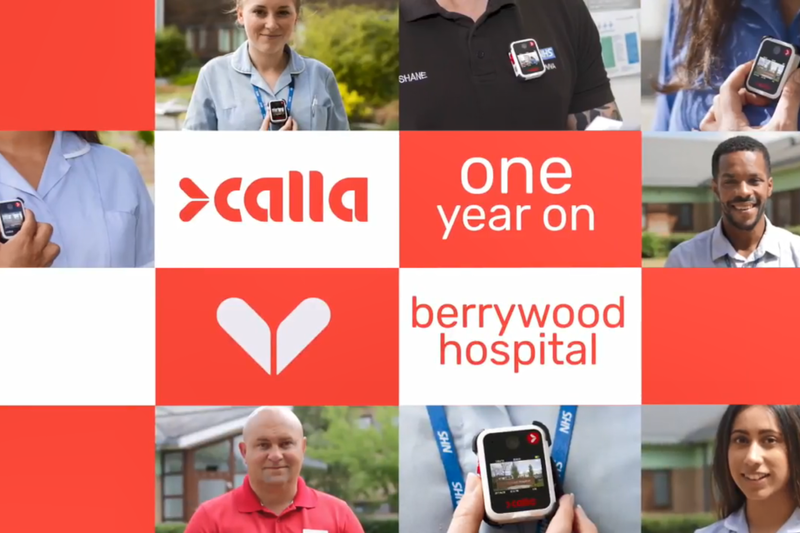 The hospital provides state-of-the-art facilities for inpatient mental health services for adults and older people, and recently won the 2018 HSJ Patient Safety Award for Best Product/Innovation for Patient Safety with their Calla body cameras. 68% of patients thought staff behaviour would change, 63% thought it would change patient behaviour. Just over a third of patients thought staff would behave more professionally, two fifths thought that patients may be less likely to be aggressive. Patients described the benefits as being: safety for everyone, respect for staff, better treatment for patients, accurate recording and clarifying situations in possible unjust accusations. Compared to the same period the previous year the need for emergency restraints (where there was a high or immediate risk of harm) went down from 41 incidents to 18. Now the team at Berrywood have rolled out Calla body cameras to an entire ward to see the difference every nurse wearing a camera makes. Andres Patino, head of mental health services, said this was to test the impact of the technology even further. “The original pilot that we did was to give one member of staff on each ward a camera and we wanted to test whether the use of body worn cameras reduced violence and aggression in the hospital overall." Patino began. Watch the video above to see what else they had to say. Do you think Calla body cameras could help your Trust? Contact us to find out more.